New round of Western sanction against Russia will target seven individuals and 17 companies. 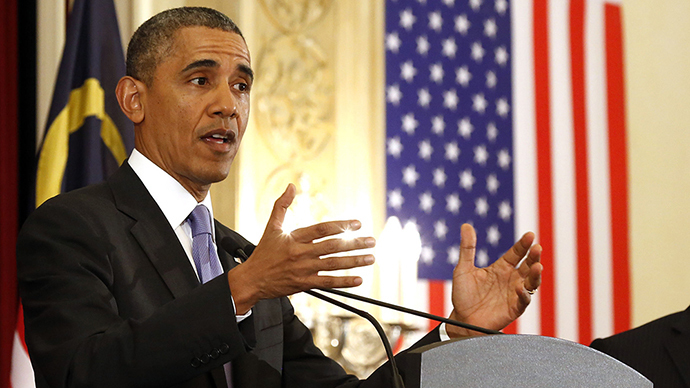 They are meant to affect Moscow’s stance over the ongoing Ukrainian crisis. The individuals listed by the US Department of Treasury on Monday include Russian Deputy Prime Minister Dmitry Kozak, chair of the parliamentary commission on Foreign Affairs, Aleksey Pushkov, chief of presidential office, Vyacheslav Volodin, and Igor Sechin, the head of Rosneft oil company. The list of sanctioned companies, which Washington believes to be “linked to Putin’s inner circle,” includes several banks, construction and transport companies. The Volga Group, an investment vehicle that manages assets on behalf of the businessman, Gennady Timchenko, and SMP Bank, whose main shareholders were affected by the previous set of US sanctions, are among those to face restrictive measures. Oil and gas engineering company, Stroytransgaz, and one of Russia’s biggest rail transporters of oil, Transoil, are also among the companies affected by the sanctions. The US Department of Commerce has introduced additional restrictions on 13 of those companies by imposing a license requirement with a presumption of denial for the export, re-export or other foreign transfer of US-originating items to the companies. Later in the day, Washington announced a tightened policy to deny export license applications for any high-technology items that could contribute to Russia’s military capabilities. But the US may move even further and impose sanctions against specific branches of the Russian economy if Moscow begins a military operation in Ukraine, Jay Carney, White House spokesman, said. The announcement of a new round of US sanctions against Russia is “revolting” as they go against the way civilized states should communicate, Sergey Ryabkov, Russia’s deputy foreign minister, said. According to the deputy FM, the American decision stems from a “distorted and groundless” assumption on the state of affairs in Ukraine. Obama said the US and its allies would keep broader sanctions “in reserve” in the event of further escalation on the ground in Ukraine. He admitted that he was uncertain whether the latest round of measures would be effective. 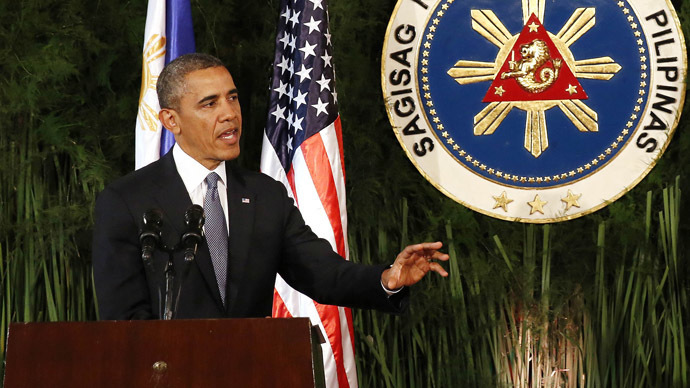 “The goal is not to go after Mr. Putin personally; the goal is to change his calculus, to encourage him to walk the walk, not just talk the talk" on diplomacy to resolve the crisis, Obama said in Manila during a trip to Asia. 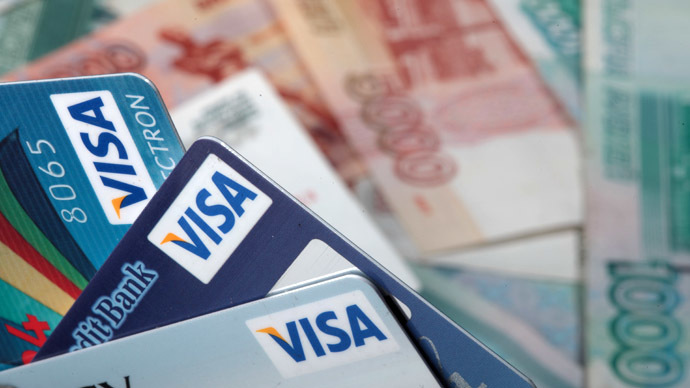 As the US pushes for more sanctions against Russia, EU members have preliminary agreed to also impose asset freezes and visa bans on 15 more people. The names of those to be added to the list will not be made public until they are published in the EU's Official Journal on Tuesday, Reuters reported citing an unnamed diplomat source. However, Many Europeans opposed anti-Russian sanctions, which would target the economy as opposed to individuals close to the Russian leadership, since economic sanctions would hurt European economies as well as that of Russia. The US, being economically tied with Russia to a much lesser degree than Europe, says it would not impose economic sanctions unilaterally. Canada has also imposed sanctions on two Russian banks and nine individuals, Prime Minister Stephen Harper said in a statement announcing the measures on Monday. Harper's office did not immediately provide names. The Russian leadership has thus far brushed off the threat of sanctions as ineffectual, arguing they might in fact buoy the Russian economy in the long term. “Overreliance can lead to a loss of sovereignty,” Russian President Vladimir Putin said at a media forum in St Petersburg on Thursday. 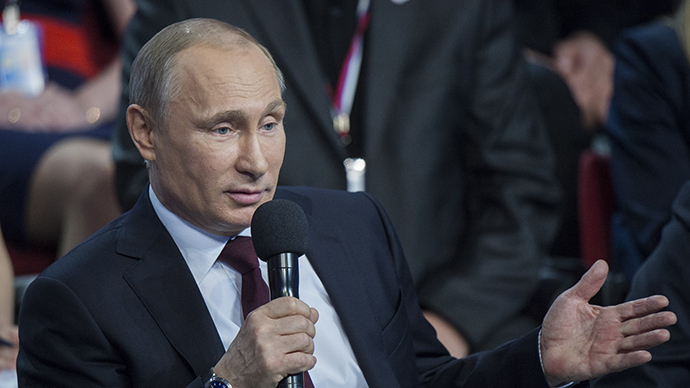 Western-led sanctions have several advantages for Russia, Putin said. Putin said the threat of real economic sanctions is already bolstering domestic businesses, bringing more offshore funds back to Russia, and giving policymakers the push they need to establish a domestic payment system. His comments echo sentiments made by Russian Prime Minister Dmitry Medvedev last week, who similarly argued that further sanctions would only make Russia stronger. 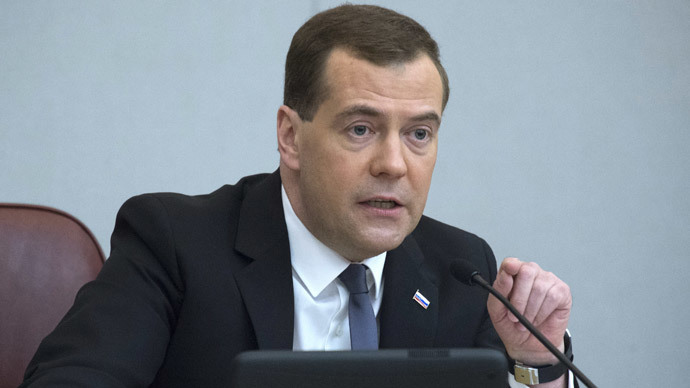 “Thanks to Western sanctions, Russia has been given the incentive to reduce its dependence on outside and instead regional economies are being more self-sufficient," Medvedev said April 22. Medvedev said any restrictions on Russian goods to the EU or US would serve to redirect Russian exports to Asian markets, which are more robust.